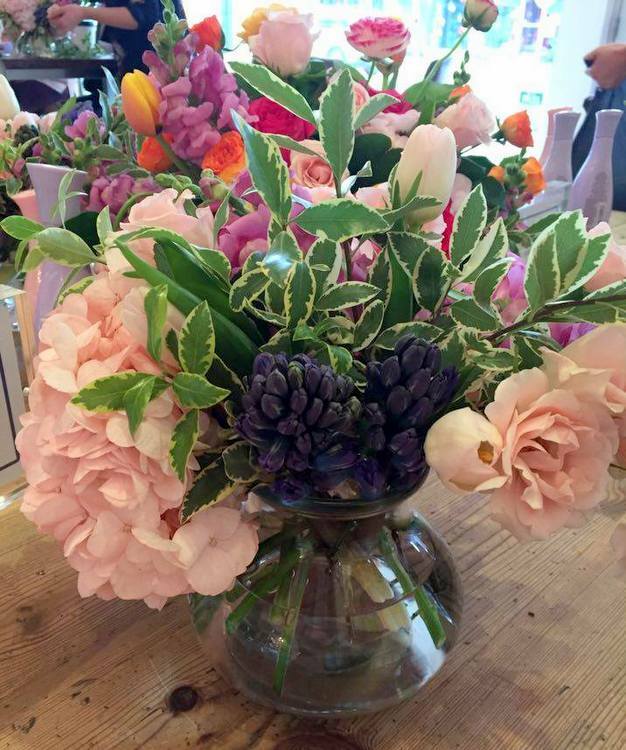 Nothing says spring quite like flowers! 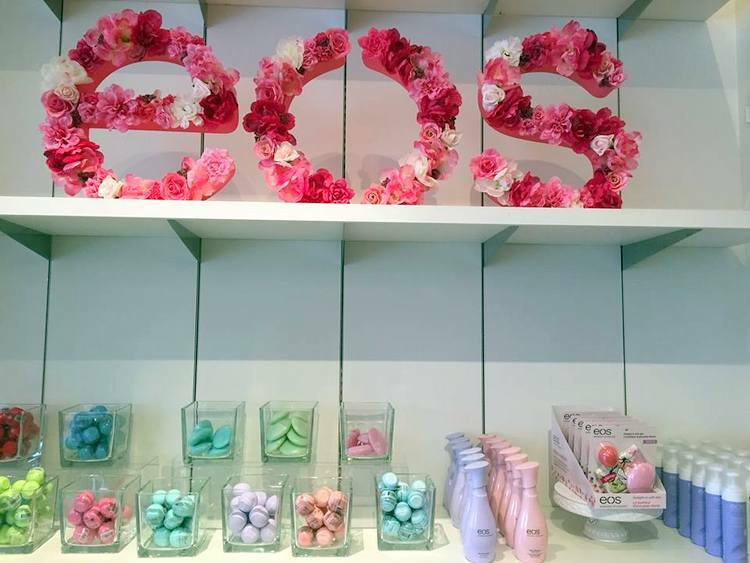 eos hosted a lovely floral workshop to launch their new body lotions. Seriously, this was one of the most beautiful events that I’ve attended all year. First off, it was held at Bobbette and Belle . 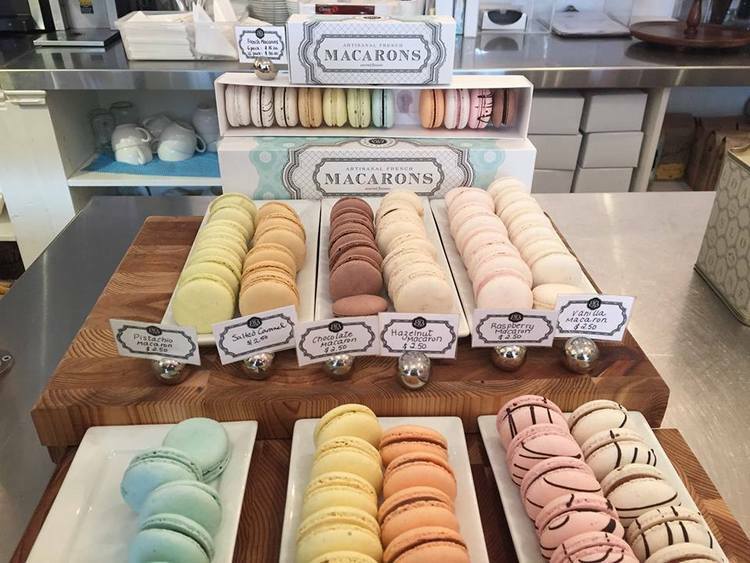 Who doesn’t feel inspired around fresh blooms and macaroons? 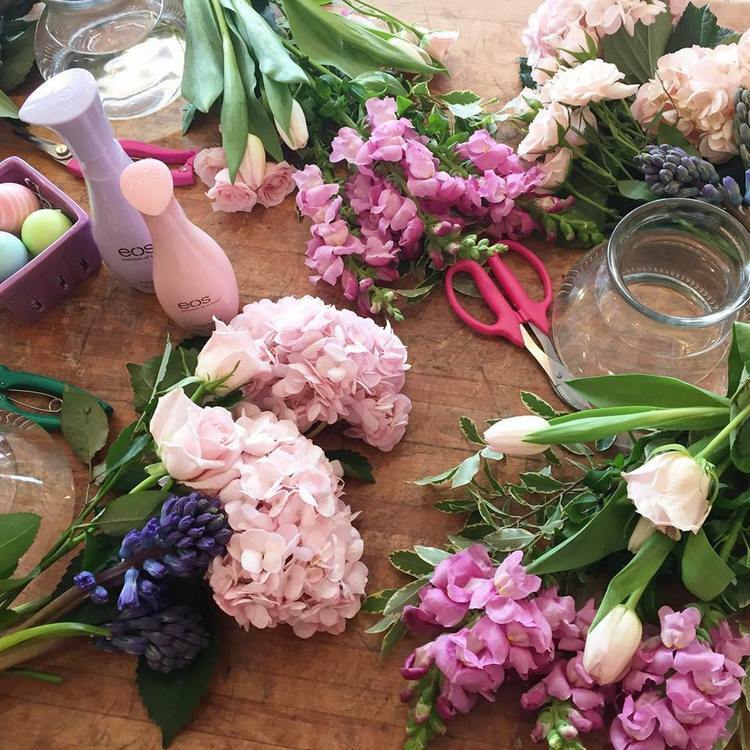 The lovely ladies from Botany Flowers taught us how to create our own bouquets with snapdragons, tulips and hydrangeas among other flowers. Tip: Pluck extra leaves off the stems of your flowers. This helps to keep the water clean, which prolongs the life of the bouquet. 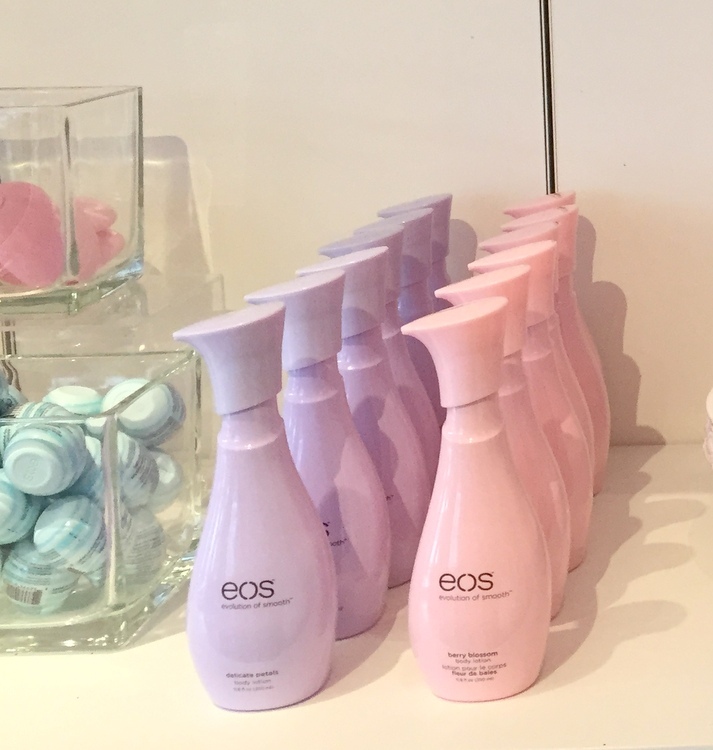 eos has launched a new body lotion in a beautiful, distinctive bottle. During the design process, they wanted to get away from the typical lotion bottle, and make their product stand out. I think it was successful! I love the bottle. The lotions are available in two sizes, and in two scents, Berry Blossom and Delicate Petals. The lotion goes on sheer and is quickly absorbed by your skin. It provides 24 hours of moisture, and is enriched with shea butter, avocado oil and vitamin E. My favourite size is the 350ml because it comes with a pump. 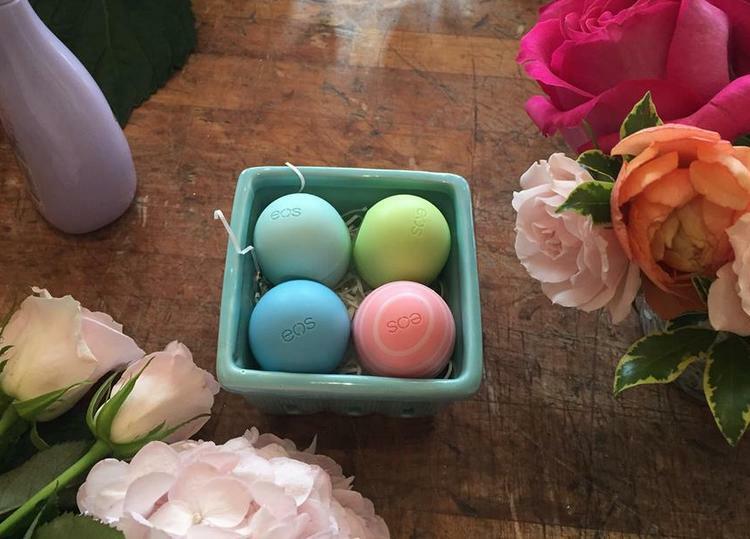 Find the lotions at your local beauty or drug store.